The timing on this discovery is convenient, as it fits nicely into the ongoing issue of developers simply not thinking about security. Especially with the advent of the Internet of Things, this problem has become increasingly apparent with the likes of web cams that happily wait around on the internet for casual observers, etc… Ironically, the developers in question were even releasing a security product. I also mentioned that the web server provided a convenient method for browsing and decrypting user passwords. First use one of the above exploits to query for the list of user passwords by domain (the above exploits execute in an environment with full access to the password database) then place a call to the decryptString API and voila! 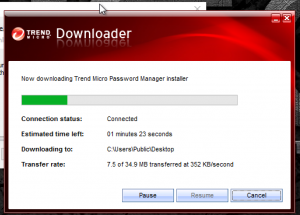 The TrendMicro Password Manager site advertises that passwords are stored securely – and they aren’t lying – the passwords are definitely encrypted. It’s just that the software itself is an open book to anyone interested in your passwords. The only security claims that are remotely valid are those that have been verified by a reputable, independent security consultant. These consultants will go through the entire architecture of the offering, including source code, and validate that a companies claims of security are reasonably supported. Even then, this isn’t a guarantee – it just means that they aren’t doing anything obviously insecure. Steve Gibson, a security researcher coined the term “Tyranny of the Default” to refer to the fact that most default settings are left as they are – not configured. This means that software installed by default, or insecure settings applied by default are more prevalent than their alternatives. Why has Internet Explorer on Windows been exploited so much, especially looking back before the rise of Chrome? It was the default browser and was (and still is) used by millions, so it was a very obvious piece of software to attack. Always examine the default settings and determine if you really do want them, or in this case, a bad password manager. 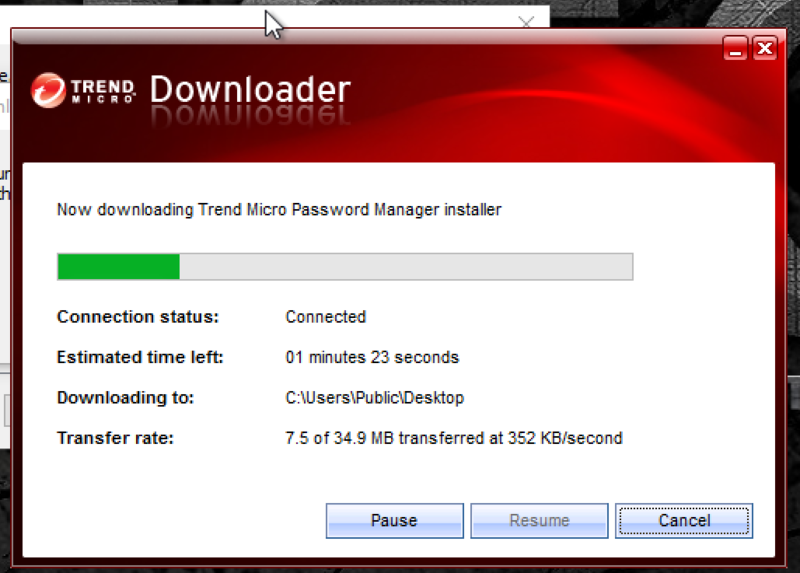 So what does TrendMicro need to do in the face of these problems? Well, fix them obviously. In fact because you can see the bug report (linked below) it means that TrendMicro has already released a patch for some of the vulnerabilities discussed. Unfortunately for them it is obvious that this whole problem could have been easily mitigated by simply not creating an HTTP server accessible to all. Another possible mitigation would be to have their software independently audited before it is released. As it is the true effects of these vulnerabilities have yet to be ascertained. If TrendMicro can have the fixes deployed to all of its customers with extreme haste it may be possible to nearly eliminate impact. This is unlikely however because, as the bug reporter points out, the only way to reliably prevent more exploits in this poor codebase would be to disable this server completely, and lose any functionality attached. In the meantime anybody is free to download the password manager software, install it (on a virtual machine please), and take a look at the source code as it is written in NodeJS. And if you had to ask, no, that’s not what “Open Source” means. Connect with me or subscribe to updates! Mike is an Engineer through and through. He loves coding, linux, gaming, and open source. © 2019 Mike Blouin. All Rights Reserved.